My friends Lee, of Little Guardians and Samantha, of awesomeness, took care of me at Gencon. It was non stop ice-cream and beer! 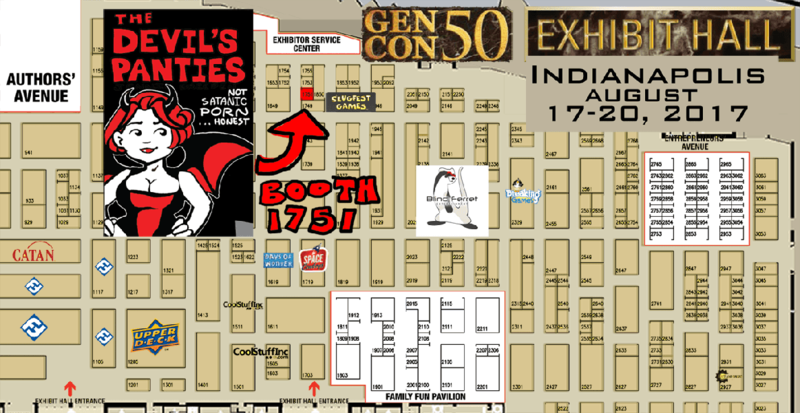 I’ll be in Indianapolis at Gencon Booth 1653 aaaaall the way in the back. I like the back. It’s air conditioned back there. If you haven’t gone, Gencon is pretty awesome. 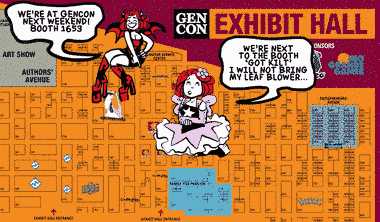 I’ll be at table number 1355 for Gencon in Indianapolis July 30 – August 2nd. I’m doing a panel that you have to sign up for to attend on Sunday at 1pm. My table is facing the Authors Avenue and poor Sparks Games is the only thing separating me from The Pirate Nigel Sade. Also, rival kilt merchants are just around the corner! Too bad TSA frowns upon lawn equipment as carry on. This should be an interesting show! I don’t know what Weregeeks booth number is but I know they’re there. 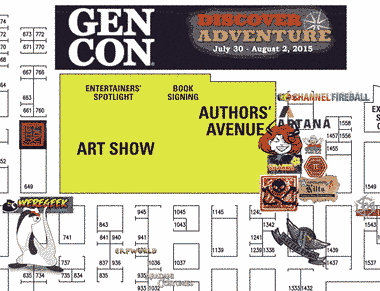 We’ll be at Gencon this weekend, table 1451. Come to the table for a super secret surprise. No, not that surprise, the other one. As for the other other surprise… Soon Come.